Shu-Cherng Fang has been appointed as the University Chair Professor of Tsinghua University (Beijing), Honorary University Professor of Northeast University (Shenyang), Honorary University Professor of Shanghai University (Shanghai), Honorary University Professor of Fudan University (Shanghai), Graduate University Advisory Professor of the Chinese Academy of Sciences (Beijing), Honorary University Chair Professor of the National Chiao Tung University (Taiwan) and Honorary IEEM Chair Professor of the National Tsinghua University (Taiwan). Before joining NC State, Professor Fang was Senior Member of Research Staff at Western Electric Engineering Research Center, Supervisor at AT&T Bell Labs, and Department Manager at the Corporate Headquarters of AT&T Technologies. 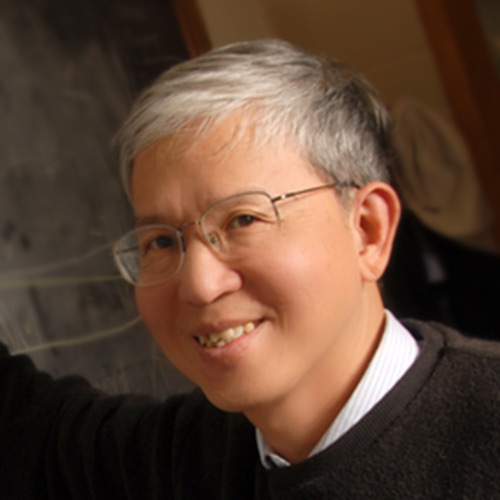 Professor Fang has published over two hundred refereed journal articles. He authored the books of Linear Optimization and Extensions: Theory and Algorithms (Prentice Hall 1993, with S. C. Puthenpura), Entropy Optimization and Mathematical Programming (Kluwer Academic 1997, with J.R. Rajasekera and H.-S. Tsao) and Linear Conic Optimization (Science Press 2013, with Wenxun Xing). He currently serves on the editorial boards of several scientific journals, including Optimization, Journal of Global Optimization, Optimization Letters, Pacific Journal of Optimization, Journal of Management and Industrial Optimization, Annals of Data Science, Systems Engineering – Theory and Practice, Journal of Systems Science and Information, Journal of Operations and Logistics, International Journal of Decision Support Systems, Chinese Journal of Management Science, Journal of Uncertainties, International Journal of Fuzzy Systems, Iranian Journal of Fuzzy Systems, Fuzzy Information and Engineering, OR Transactions and Journal of the Operations Research Society of China. He is also the Editor-in-Chief of Fuzzy Optimization and Decision Making. Discover more about Dr. Fang, see Faculty Profile: Shu-Cherng Fang. Linear and nonlinear programming, fuzzy optimization and decision making, soft computing and heuristic methods, logistics and supply chain management, telecommunication networks and L1 splines.